WILW: Recipes, Pins, and Fashion! Today for What I’m Loving Wednesday (link up here) I am showing you some recipes, pins, and fashion that I’m loving right now! We made this last night and it was GREAT! Tyler even liked it (and he isn’t big on sweet/savory combo). The only change I made was half apricot jam and half pepper jelly to give it a little kick. Served over rice. REALLY good. I take this method and make it lots of ways. I have made twice baked (with bacon/cheese), ranch (with dry ranch), sour cream and onion, and garlic. We LOVE this side dish. GREAT sub for potatoes. Quiltivate is a really neat site I stumbled on where you can look up quilt patterns, and built your virtual quilt. Really helpful! I REALLY want to do this in our bathroom…but with white trim. And these WILL be made in the fall. My mom loves chocolate chip pecan pie so I would probably add chocolate chips to these pecan pie bars. And lastly, fashion. I got all these beauties from Forever 21. There isn’t a F21, so I have to order online. Can’t wait for it all to get here! Will NOT be a dress for me…but rather a tunic. Zebra skirt that is long enough for work! Score! Leopard is my favorite color. What are you loving this lovely Wednesday? LOVE THIS POST! The pic of the pecan pie bars almost stopped my heart! I’m ready for fall! Ha! 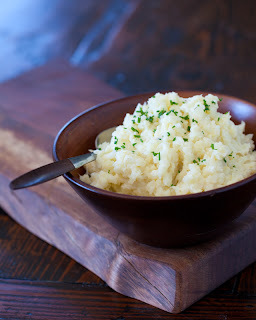 I’d love to find out your recipes for the mashed cauliflower! I’m not doing potatoes right now so this would be a great alternative! 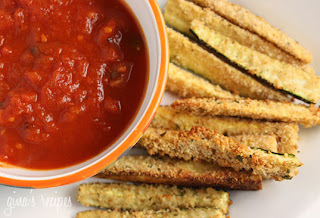 Cristi- I loosely follow the recipe on the link. I just take a head of fresh cauliflower, chop and steam it…then I put in the food processor with stuff. For twice baked…I do 2 tbsp light sour cream, 1/4 cup shredded cheese, and 2 tbsp bacon bits and some dried chives. For garlic, I will do bunches of pepper and garlic powder (or some roasted garlic if I have it on hand). I also do some with sour cream (about 2 tbsp) and some dry ranch seasoning (one packet…or maybe 1/8 cup or so from the shaker). I do one with dried onion flakes and sour cream…with a little garlic and chives for sour cream and onion. They are all good! Love that leopard top from Forever 21! I am really wanting to try the colored jeans from there but have never tried anything on there (FS needs a store)! Everyone says they run big so I might give it a try! I used to shop there ALL the time when I lived in Fayetteville. Usually around season changes, I try to head up there for a shopping spree. I can spend $100 and get tons of things compared to most places (most items are $10-20…jewelry is like $3-5. I have never bought the pants but I’m hoping they work! Those pecan pie bars look amazing! I cannot wait for fall! We have been having mashed cauliflower at least once a week and we’re kind of obsessed — so good!